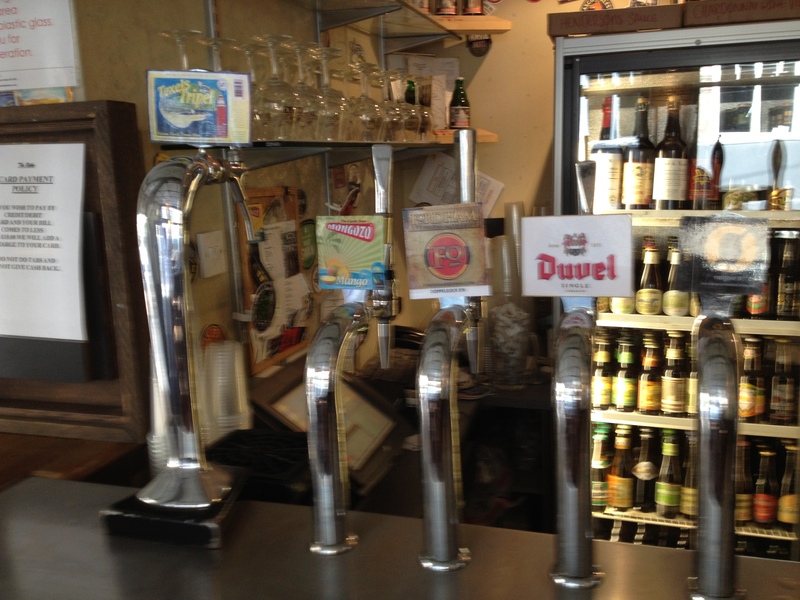 There are beer bars in London that have a wider range than The Rake, that’s for sure – next to Craft Beer Company or Cask Pub & Kitchen, the three hand pumps and seven keg taps of The Rake may seem downright paltry. But look closer: those ten pumps/taps regularly feature the very latest releases from top British and world breweries, there’s frequently limited releases on offer that you can hardly get anywhere else but here, and everything changes with a frightening regularity. You can have a two-keg limited release of a Kernel/Tom Greasly collab (a Red IPA) one night (those two kegs lasted all of 40 minutes) and the launch of the Ilkley/Melissa Cole collab Siberia (a saison with Siberian rhubarb) the next. Because that’s just how The Rake rolls: respected and liked by brewers everywhere, this is the place of choice for many brewers doing a special launch or presenting a one-off collab. 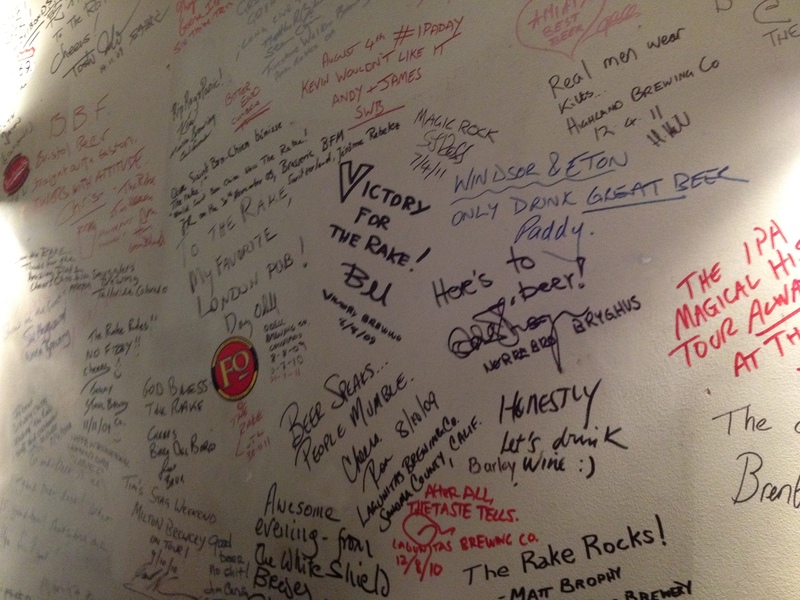 The Rake is not just a beer lovers’ pub, it’s a brewers‘ pub (as evidenced by the brewer guest wall of fame, getting ever more crowded with every week – look for signatures by the likes of Stone and Hitachino Nest). The Rake team (the same people are behind the Utobeer beer stall in nearby Borough Market, in case you have been living on Mars the past couple of years) also seem to be dedicated to geographical variation: as you would expect, the three hand pumps offer the best of British, as it were, and on the seven keg taps you can almost always be sure to have something from the US, something from Germany, something from Belgium, and something from somewhere else (Australian Little Creatures and Norwegian Nøgne Ø make frequent appearances, for example – I had an excellent Nøgne Ø Wit at The Rake the other day). There are also two fridges worth of bottles and as Utobeer are involved you can also always be sure to find plenty of limited and more left-field stuff in addition to staples from Sierra Nevada, Stone, Rogue and Kernel (not a staple anywhere else but London, but here it’s a requirement of any serious beer bar to carry their wares). Always ask if they have anything new and interesting – the staff is knowledgeable and happy to make recommendations. It’s a tiny place, and it’s nearly always crowded, but it’s still always worth a visit – particularly now, when summer is just around the corner. Sitting in the miniscule ‘beer garden’ (more of a back yard covered with planks, really) of The Rake taking in the sounds and smells of nearby Borough Market while sipping world-class brews is a rare pleasure – I would definitely recommend coming here when the market is one (which is Thursday to Saturday). If you are hungry and the crisps, pork scratchings and the pork pies on offer are not enough to sustain you, pop out and get something from the market, eat, walk around, enjoy the market, and then come back to The Rake when you’re done. Sure, you may have lost your seat, but the exercise will have done you good! 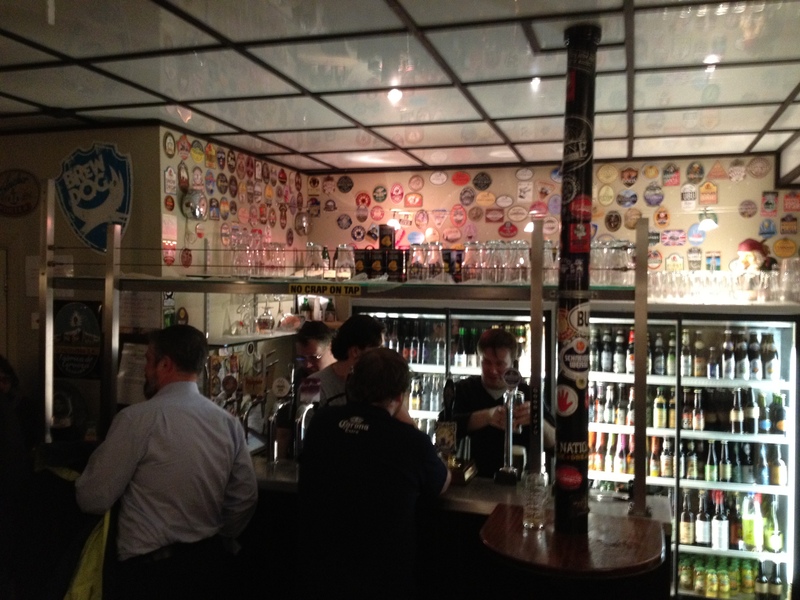 The Rake may not be the biggest of London’s craft beer bars, but they were arguably the first. And you can really feel those extra years of accumulated know-how when you step through the door – it’s in the service, in the beer selection, the events. Everything about The Rake oozes care and passion for beer. PS: I said The Rake often have Meet the Brewer events and special launches – and coming up in April is a real extravaganza. There’s a ten-day London brewer event from April 16 to April 24th, with a stunning lineup of London brewers: The Kernel on the 16th April, Windsor & Eton on the 17th, Peter Haydon of The Florence on the 18th, Meantime on the 19th, East London Brewery on the 23rd and By the Horns on the 24th. See The Rake’s well-maintained Facebook page for more info (The Rake is one of the few London beer bars that provide daily updates of what’s on tap). 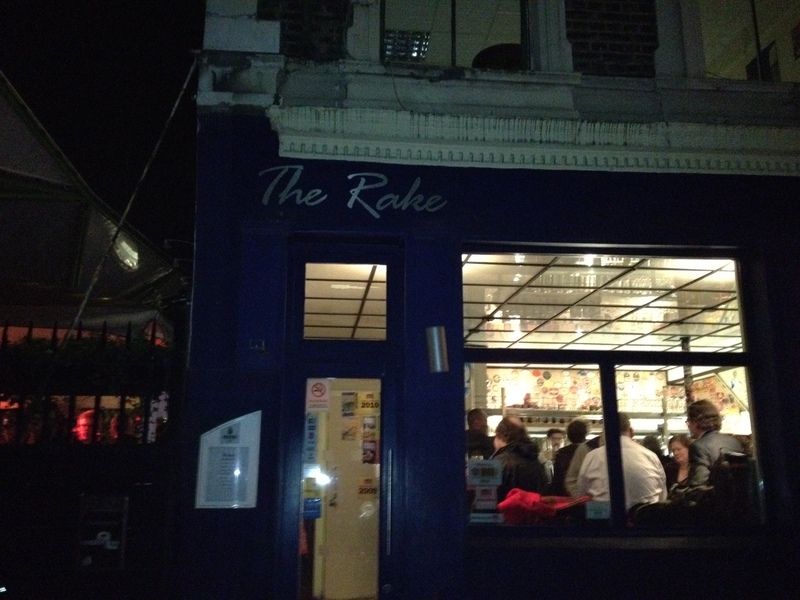 The Rake, 14 Winchester Walk, London SE1 9AG, Tel 020 7407 0557. Posted on April 3, 2012, in Pub & bar and tagged Drinking Dens, Hitachino Nest, Ilkley, Kernel Brewery, Little Creatures, Nøgne Ø, Rogue Ales, Sierra Nevada, Stone, The Rake, Utobeer. Bookmark the permalink. Leave a comment.